2018 Tata NEXON AMT bookings open at Rs. 11,000. The new NEXON AMT will feature HyprDrive Self-Shift Gears. 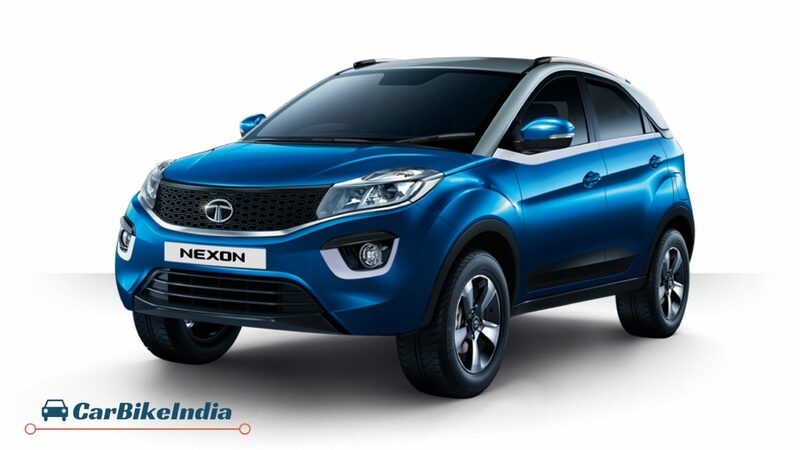 India’s popular car maker, Tata Motors is all set to introduce the Tata Nexon AMT with HyprDrive Self-Shift Gears (S-SG). The automobile maker has opened the bookings of 2018 Nexon AMT at an amount of Rs. 11,000 only. The upcoming Nexon AMT will feature 3 drive modes — Eco, City and Sports. Featuring the Hyperdrive S-SG, Tata Nexon AMT will be offered in both the petrol and diesel powertrains. The auto-major earlier launched the manual transmission trims of Tata Nexon in 2017. The car, post going on sale, has done incredibly well in the auto-market, and has been one of most successful SUVs from the auto-giant. With the AMT market thriving in India, the company is all set to leverage this opportunity by introducing this class-apart SUV with HyprDrive Self-Shift Gears. The Nexon AMT has been the most awaited products since it made its debut at the Auto Expo 2018. Offered at a nominal price, Tata Nexon SUV caters thrill to its customers along with giving them a the feel and pride of driving an SUV. New Exterior Colour Tata Nexon AMT has a new exclusive body colour option, the Etna Orange, that comes in combination with a Sonic Silver dual-tone roof. Multi-Drive Modes Nexon features country’s first AMT that has multi-drive modes — ECO, CITY and SPORT. Smart Hill Assist This is another premium feature in Nexon AMT that prevents it from rolling back on uphill drives in conditions like bumper-to-bumper traffic. Crawl Function Urbanites will love this feature. The crawl function keeps the Nexon AMT moving in conditions like slow moving traffic, without pressing the accelerator. Intelligent Transmission Controller The AMT of the Nexon SUV is smart enough. It comes with features such as anti-stall, kick-down and fast-off, thereby offering you a hassle-free driving experience. Manual Tip-tronic Transmission Tata Nexon AMT gets Manual Tip-tronic Transmission Mode that allows you to shift gears manually while enjoying a clutch-free driving experience. Available In Petrol & Diesel Options Tata Nexon AMT will come in both petrol and diesel engines. Under the hood, it will carry either 1.2L turbocharged 4-cylinder Revotron petrol engine or 1.5L turbocharged 4-cylinder Revotorq diesel engine. Wearable PEPS Key The excitement lies also in Nexon AMT’s keys as you can wear them like a wrist band for added ease.